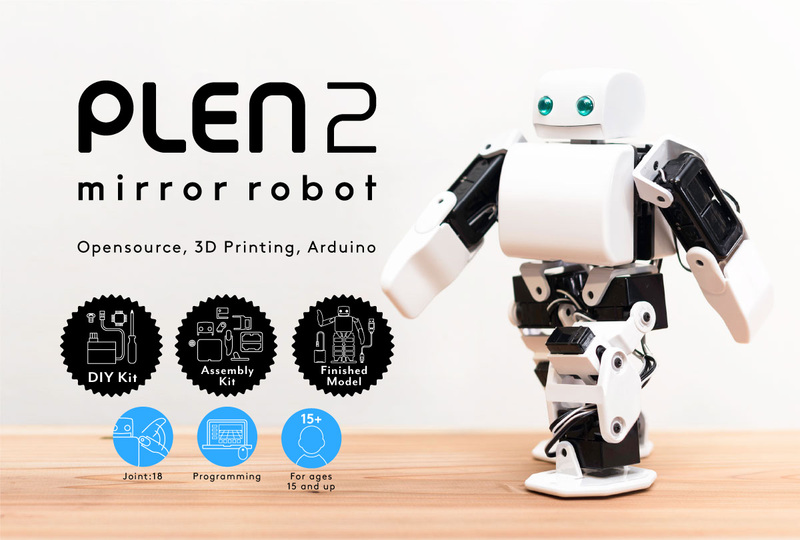 PLEN2 is the world’s first printable & open source humanoid robot. PLEN2 is a robot kit consisting control boards, servomotors and accessories that you can put together yourself. You do not need any technical knowledge or special tools – all you need to build this robot is a screwdriver. When you complete it, PLEN2 is about 20[cm] tall and weighs about 450[g] with 18 joints and that you can completely control. The source code has been released and anyone can modify the code. 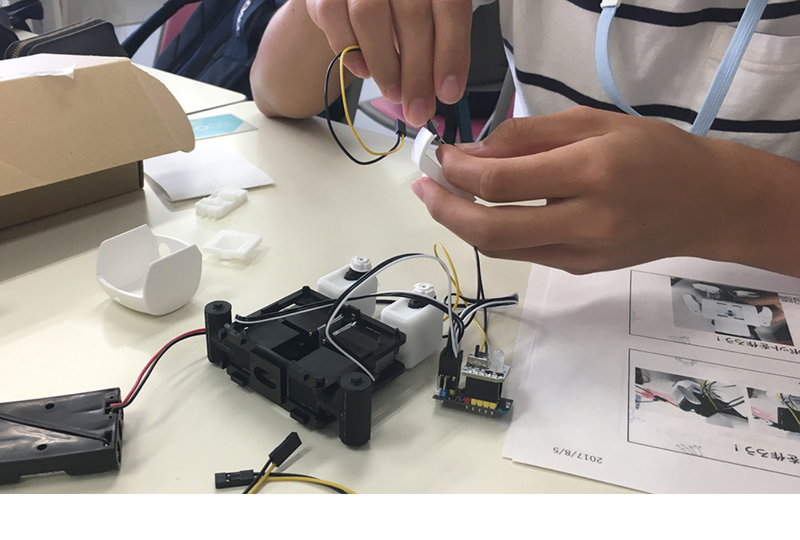 Since the control board is Arduino compatible and PLEN 2 comes with various sample programs, programming functions can be done freely not only for advanced programmers but also for novice users and children. We will publish the 3D data of the main part of the robot free of charge. These all can be printed with a 3D printer. After building your robot, we create various competitions and play games with your robot. 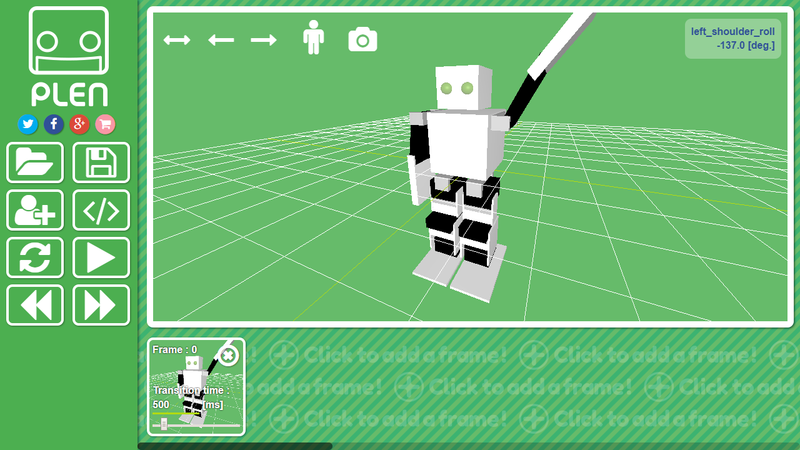 You will be able to pick up small objects and learn how to use robotics in many different ways. The robot has 18 freely movable joints and servomotor in order to create a wide range of action and stable movements. Since it’s small, PLEN can balance well and accomplish basic movements such as walking and getting up. It can also do intricate movements like roller skating and skateboarding! You can control via bluetooth through your PC and Smartphones. app for iOS “PLEN Connect” with intuitive UI. PLEN was named from the word plain. The name indicates a “simply shaped robot” that everyone can imagines. PLEN was designed by pursuing a simple appearance and simple functionality. The main components of the robot are provided free of charge. Anyone can customize the data and create original original parts using 3D printers. DIY kit for those who want to control the exterior design. PLEN2 contains control board, head board, servo motor, connecting parts and battery etc. External parts are not included, users can design and output original body parts, and you can make your original PLEN2. After assembly, you can connect to the control application with Bluetooth to operate. It is also possible to make a motion with a dedicated programming application. Assembly kit which completes PLEN2 with simple assembly. Contains exterior parts, PLEN2 control board, head board, servo motor, connecting parts and battery. It is also possible to make motions with a dedicated programming application. 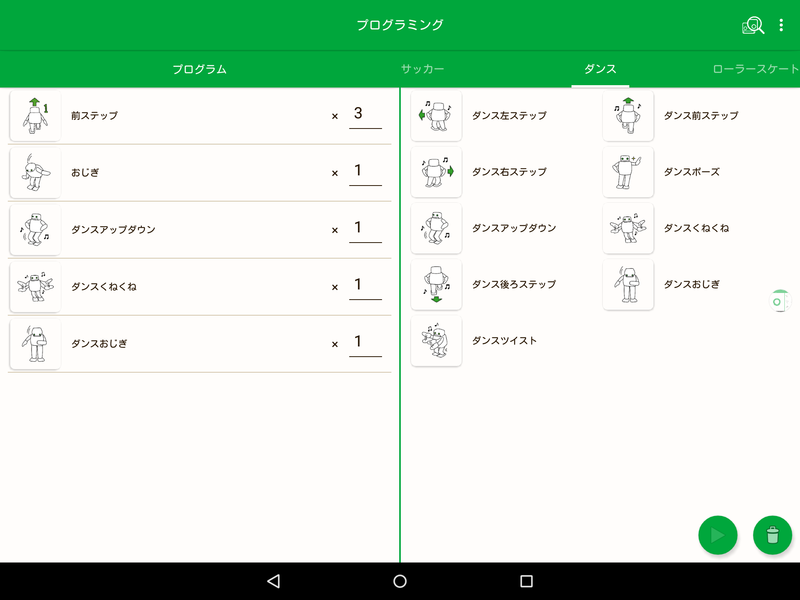 In addition to controlling PLEN, This is a programming tool for PLEN series robot using visual language. It helps people learn about creativity thinking, structuring logics, or programming. It is software that connects PLEN to a personal computer, creates and operates basic settings, actions. You can create various poses by moving each servomotor, and you can create a series of actions such as walking and running by combining the poses. You can also call the built-in motion from the beginning and move PLEN. It is a compact PLEN2 with 8 motors (joints) using the same control board as PLEN2. It is also possible to add extra motora and remodel it into a full 18 joints PLEN2. Similar to PLEN2, you can connect to the PLEN2 Mini control application with Bluetooth or a dedicated programming application. Uses remote control core unit "bCore" board. Mini 4WD and other car toy can be remodeled into radio controlled cars with direction and speed control! Use the bCore racer application and connect to your racer via Bluetooth. This product is only available in Japan.